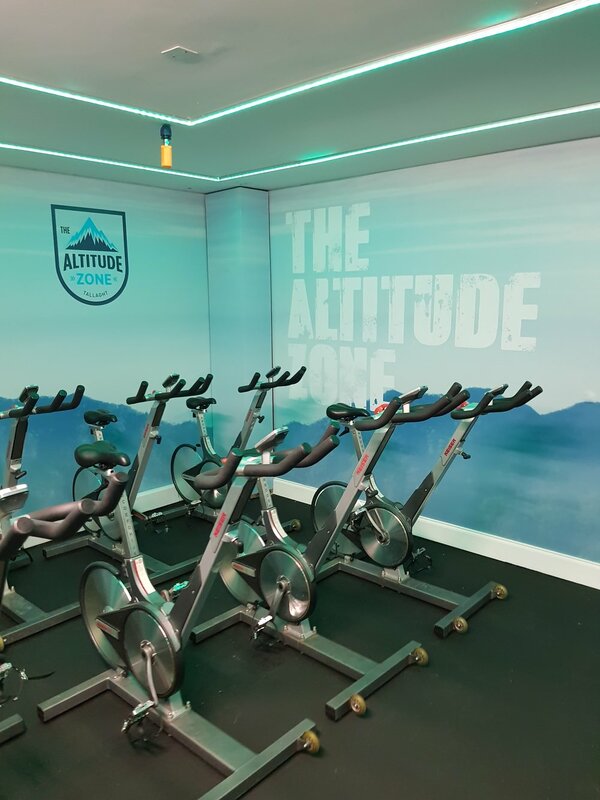 The Altitude Zone is Tallaght's only specialised altitude room! Located on the Belgard Rd we specialise in hypoxic training (altitude training). At sea level we breathe 21% oxygen but when at 16% & above its considered high altitude. Our room can simulate heights of up to 2500m (15.5% oxygen) & much more. In our temperature controlled room we have a wide range of cardio equipment to choose from each suitable for all fitness levels & all perfect for burning fat. Our fully trained Alti-coaches will carefully monitor you heart rate ensuring you get the most from your session. By downloading “polar flow” to your device, your stats including heart rate, calories burned, zones and time will be directly uploaded after a session, so you can keep track of your progress. At sea level our body passes air to our tissues via the lungs in order to give us energy. When we are at altitude our body finds it harder to complete this process due to the lack of oxygen meaning required amounts of energy become limited. In Simulated Altitude we can mimic effects & make adaptations like Improve Lactate threshold, VO2 Max, boost HGH (human growth hormaone), boost fat loss making it advantageous and beneficial to both our fitness and health. In our temperature controlled room. We can help you achieve your desired goal in less time. No matter what your fitness level, from athletes to anyone just looking to lose weight and increase fitness. We carefully monitor Co2 levels and our highly trained instructors will carefully monitor your individual heart rate, making sure you hit your very own heart rate zone.